The 2019 State Of the Nation (SONA) will likely be the cheapest in five years. Parliament chose to cancel the post-SONA gala dinner in 2014, which led to steady savings since 2015. The 2019 SONA’s budget is 47% down from 2018, and Parliament is expecting to spend far below budget. 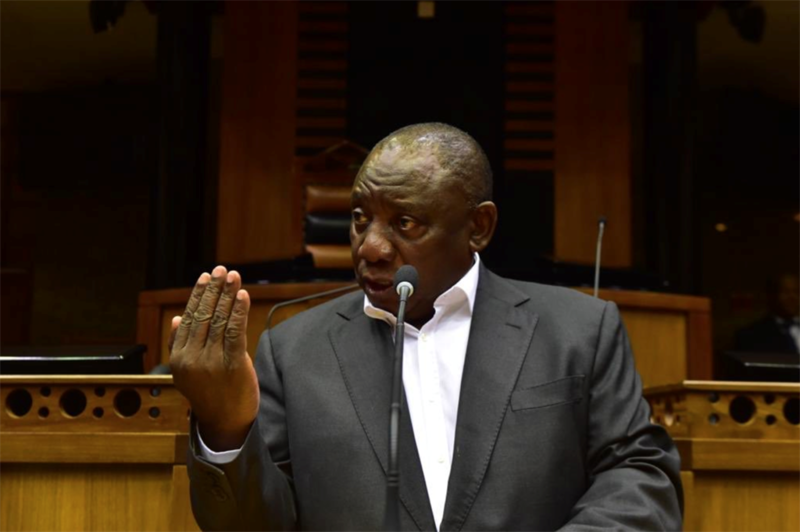 President Cyril Ramaphosa’s 2019 State of the Nation (SONA) address is set to be the cheapest in five years. Parliamentary spokesperson Moloto Mothapo said the legislature is taking every feasible step to do more with fewer resources, and that means less glitz for the important political event, known for its red-carpet treatment of politicians. Parliament has cut the budget for SONA 2019 by 47% from last year, Mothapo said. SONA 2018 ended up costing the legislature R1.9 million from a budgeted R4.7 million. “For this SONA, we have budgeted R2.5 million, and we are confident that with the further spending control measures put in place, the actual expenditure will be significantly lower,” Mothapo said in a statement. SONA budgets have seen a steady decline since 2015 when Parliament first chose to cancel the then usual banquet at the Cape Town International Convention Centre. 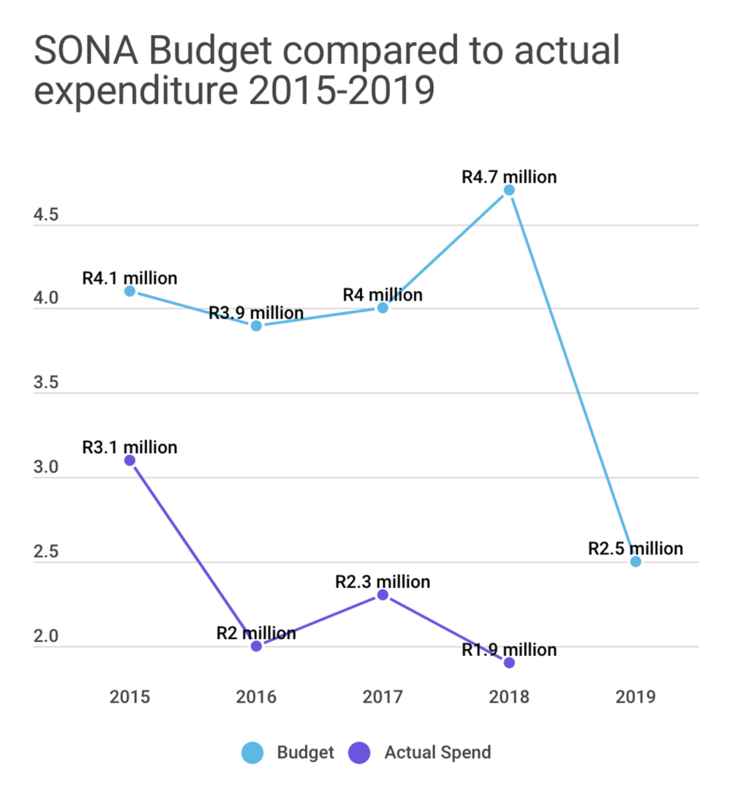 The 2015 SONA cost R3.1 million, against a budget of R4.1 million; the 2016 SONA came in at R2 million compared to a budget of R3.9 million, and the 2017 SONA had a price tag of R2.3 million compared to a budget of R4 million. The 2019 SONA will be the second as President for Ramaphosa, who is expected to make several key announcements surrounding his $100 billion investment drive. The President is also expected to make announcements about the state of South Africa’s struggling state-owned enterprises, particularly power-utility Eskom, which has over R420 billion debt. At the Mining Indaba in Cape Town on Wednesday, Ramaphosa promised that a plan to stabilise Eskom would be revealed in a matter of days.